NOTE: This course is included in the site-wide bundle which unlocks every course in the Academy. Science education in the 21st century needs to be rethought. Today, students can successfully complete a four-year science degree at the university level and for all practical purposes remain scientifically illiterate. That sounds like an exaggeration, but it isn't. University science graduates can't explain how science works or what its distinctive methods are. They can't explain how the authority of science is grounded and justified. They can't explain how science differs from pseudoscience. They can't explain how scientific methods differ across the natural sciences and the social sciences. They can say very little about the historical origins of Western science prior to the 20th century. They have only a cursory understanding of the historical development of scientific ideas in their own discipline. In short, they are not prepared to critically engage with science and public policy issues, or critically evaluate claims about science in general. If we accept these skills as a prerequisite for scientific literacy, then these university-trained science majors are not scientifically literate. 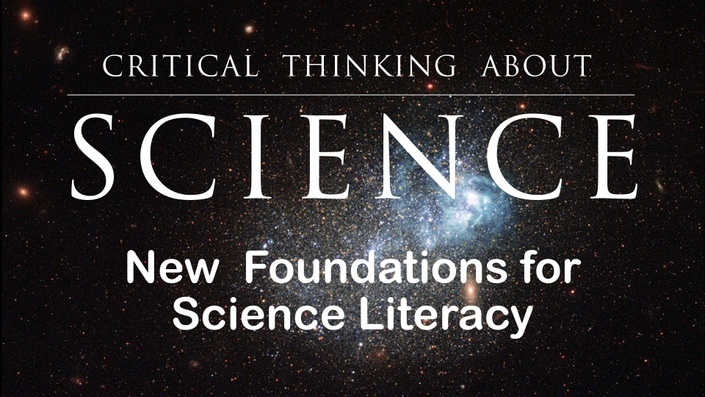 The course that I am developing here is designed to teach genuine science literacy -- critical thinking skills relating to the nature of science, scientific reasoning, influential ideas in the history of science, and the role of science and scientific values in liberal democratic society. These topics are (for the most part) not taught in traditional public science education, but they form the core of genuine science literacy that should be part of the educational background of any informed citizenry of the 21st century. I plan to spin off these units as separate courses and host them here on the Critical Thinker Academy. Why Do the Lectures Suddenly Stop?